News From Tressie Davis Photography: Workshop Time! Well, I'm off today to the Jessica Hughes Workshop in Oklahoma! Can't wait - there will be so many talented photographers there, and I'm so excited to be a part of it. 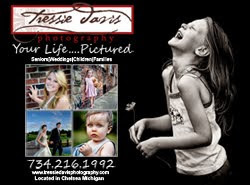 To see some of Jessica's work, check out her website here http://www.jessicahughes.com/.